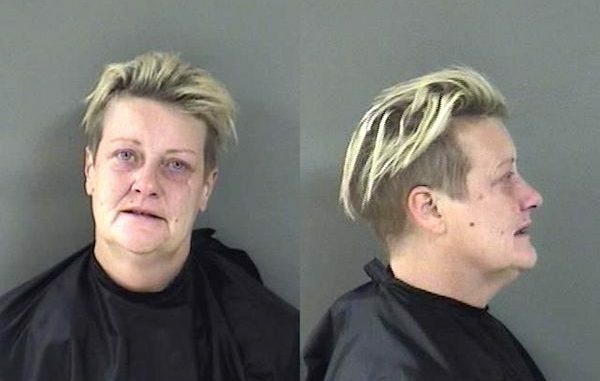 Woman arrested for disorderly intoxication and felony cocaine possession in Sebastian, Florida. SEBASTIAN – A 46-year-old woman was arrested after a man called law enforcement to report a woman “falling all over the parking lot” near Strike Zone Entertainment Center at 730 Fleming Street, according to the Sebastian Police Department. The incident occurred Sunday at approximately 5:20 p.m. when a caller contacted authorities. A few minutes later, the caller said the woman was driving a gray van and parked it in front of the China 1 restaurant. “I made contact with the white female who was slumped over the wheel with the van in park, but the engine was running,” the officer said. The officer woke the female up and identified her as Ann Rizzo from her driver’s license. The Sebastian police officer asked Rizzo to contact a friend for a ride home. At the same time, another officer made contact with her male passenger, who began to argue with them. Police then ordered Rizzo out of the van to separate her from the passenger. “I told Rizzo several times to stop talking and making a scene, that we were trying to get a ride for them,” the officer said. However, Rizzo continued to yell and cause a scene. “Rizzo continued to be loud and cause a scene to where patrons were now focused on the situation,” police said. During a search, police found a clear plastic bag with a white powder in it, which tested positive for cocaine. “I don’t do drugs, you can test me,” Rizzo told police. Rizzo was charged with Felony Possession of Cocaine and Disorderly Intoxication. She has since been released from the Indian River County Jail on $6,000 bond.